The work takes a nebulous form as poetry which is separated by space, time and medium. This reflects the subject matter of light, shadow, wind and their transmission through the living environment. The idea of the work forms a tangible presence with the inflation of a sail and the shadow cast by it. 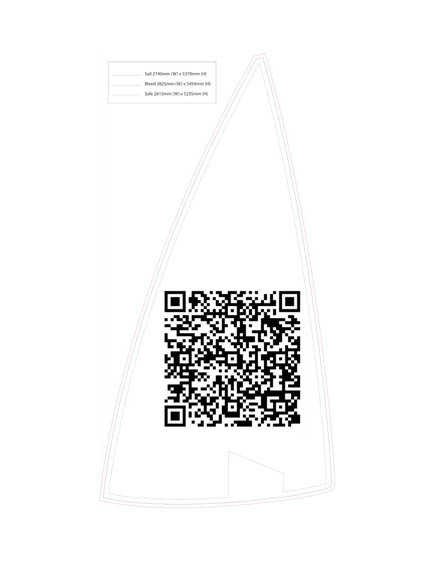 This work exists in an intangible form as a QR code on the sail. 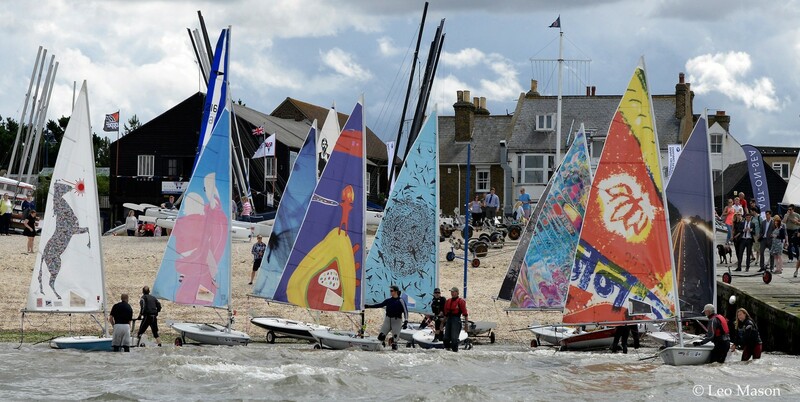 This reflects the notion of signs and symbols in sailing and my own previous disjuncture with the sailing community. It will only be readable when the sail is still. The text contained within the code merely begins a poem. I have studied Environmental Science and then Fine Art. This combination of approaches informs my practice of the making of art using the living landscape. I have since developed my creative practice to involve groups of people and how they interact with their landscapes and environments. My current practice takes form as both living installations and working in conjunction with people and places. I also work in poetic documentation of places and experiences. I currently also work with the Royal Borough of Kensington and Chelsea on a community garden scheme, working in community gardens, involving and enhancing residents’ experience of the space around them. This is a very direct form of creativity and has lead to a number of events for this years ChelseaFringe. I also write a blog on http://www.greenthoughts.co.uk which is a chronological documentation of personal experience of environments and the passage of time.